In 1976, Kit Carson County joined the rest of the United States in celebration of America's Bicentennial. 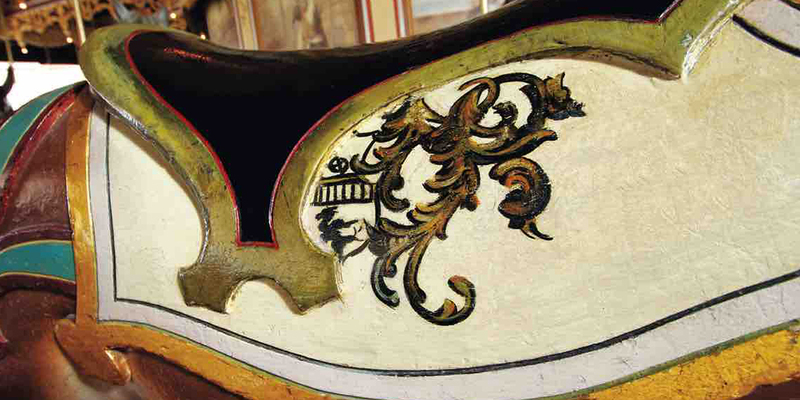 It was decided that the restoration of the carousel's band organ would became the county's Bicentennial project. 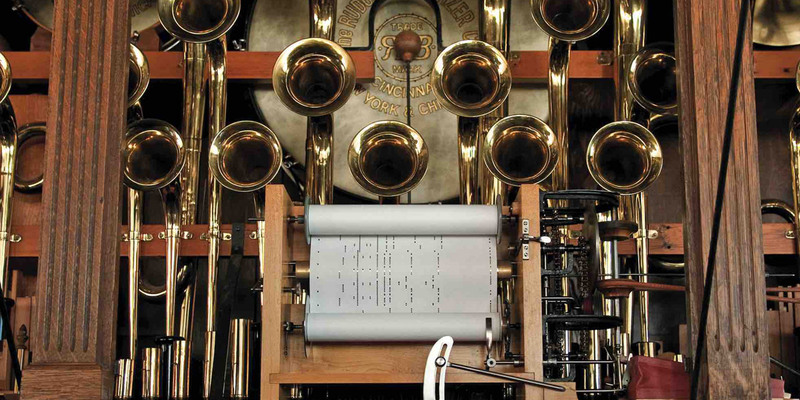 Originally advertised by Wurlitzer as "The Twentieth Century Wonder" circa 1909, the Monster contains 255 pipes, bass and snare drums and cymbal, played by Style 155 music rolls. The leaded glass windows in the front may be opened or closed to control the volume. The retail price was $3,250 in 1909. The equivalent 2001 retail cost would be more than $250,000! Only three Monster organs are known to exist, of which the Kit Carson County example, No. 2,453, is the most complete. By 1975, the organ was in deplorable condition. Certain damage was obvious, such as the torn drum heads, missing and dented brass trumpets and trombones, and the filthy, rusty overall condition. In February 1976 the Monster was delivered in pieces via horse trailer to renowned organ restorer Art Reblitz, in Colorado Springs. After more than 1,000 hours of work, Reblitz and his staff completed the organ in late July, just in time for the 1976 county fair. Local Craftsman Merle Worden refinished the cabinet and repaired the leaded glass windows. Since 1977, ongoing maintenance has included tuning, cleaning, tightening leather belts, making minor repairs and lubricating the organ annually. In 1996, the decision was made to have Reblitz restore the organ as close to its original condition as possible. The restoration was completed by Reblitz, with the assistance of several other internationally-known craftsmen, in July, 1999. 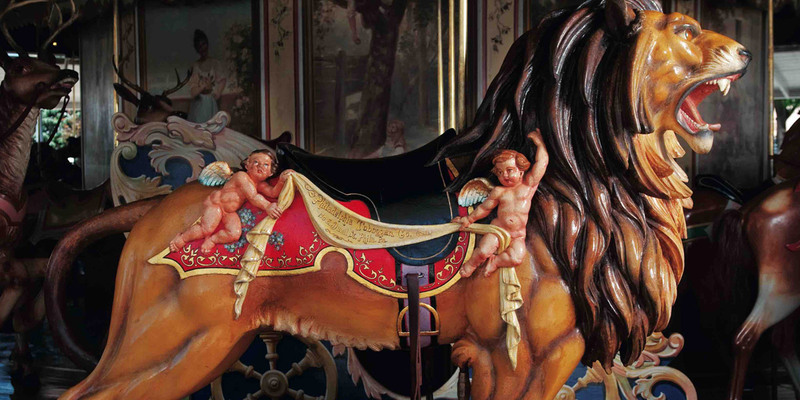 Today Kit Carson County's Monster plays just as it did in 1909 enabling the carousel's 46 wooden animals to march counter-clockwise to the wonderful waltzes and magnificent marches from the turn of the 19th Century.